Smart destinations find a way to reach out to any and all potential visitors -- business travelers, tourists, investors, even the living dead. 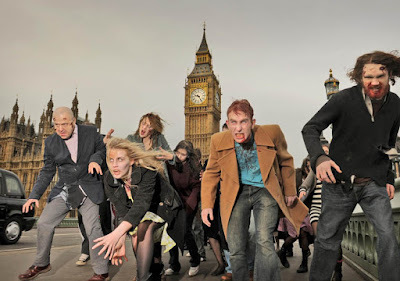 So it’s no surprise to hear about the hordes of zombies that have been turning up in cities across the world today. Because even zombies understand the importance of meeting brain-to-brain face-to-face. Okay, actually it’s a stunt to promote AMC’s new series “The Walking Dead,” with each city welcoming the zombies in its own way. Here in DC, for example, legions of the undead tried to overrun the Lincoln Memorial, The Washington Post reports, but they were turned away by the U.S. Park Police because they “did not know they needed a separate permit to enter property administered by the National Park Service.” An insatiable urge for human flesh is one thing, but it can’t hold a candle to bureaucratic protocol.